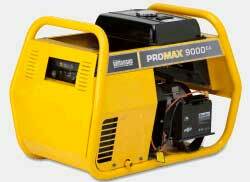 Generator Associates stocks many Briggs and Stratton generators, imported directly from the USA. These are single and three phase petrol generators, with outputs ranging from 4.8 to 18kVA. We will create superior value by developing mutually beneficial relationships with our customers, suppliers, employees, and communities. We will enhance our brand equity and leadership position by developing, manufacturing at low cost, marketing, and servicing high value power for a broad range of power products. In pursuing this mission, we will provide power for all people worldwide to develop their economies and improve the qualities of their lives and, in so doing, add value to our shareholders' investment.